A Houston favorite with an extensive (and delish) Italian menu. It’s a casual night of socializing and getting to know each other while sampling some of the best food Houston has to offer. No presentation, we promise! 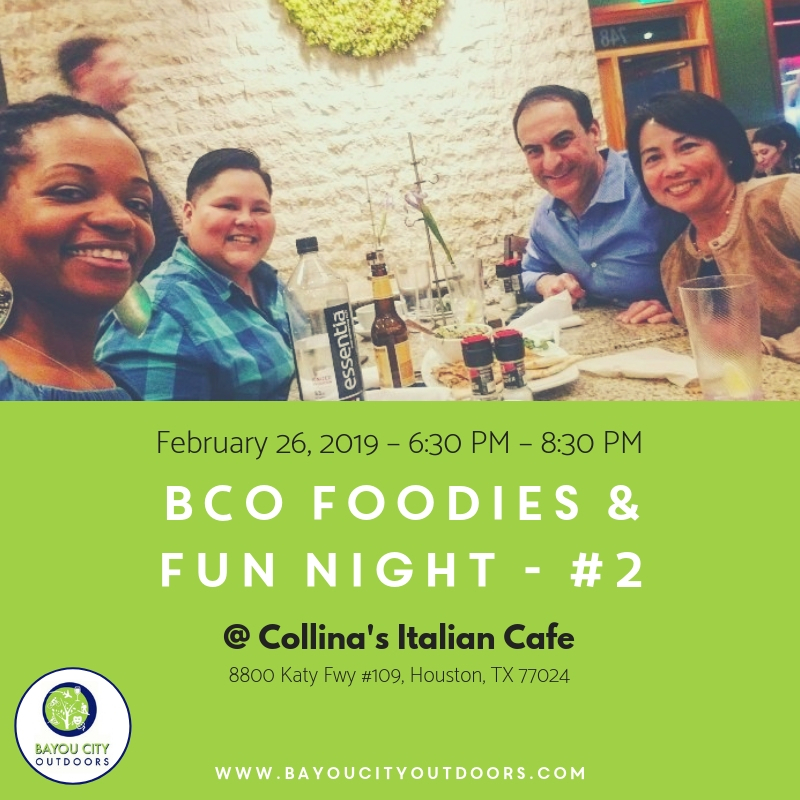 Whether you love hiking, biking, kayaking, camping, backpacking or just being social, you’ll meet some kindred spirits at this monthly dinner. A little shy… don't worry! Our Event Leader is there to break the ice and to answer any questions you might have about BCO in general. We'll chat about upcoming adventures, Houston bike rides, hikes and fun to be had. Plenty of parking in the lot.